Ok so the back end of 2014 went a bit mental for us here at For Every Occasion. We apologise for not blogging for a while but we hope you will find the next few posts interesting. 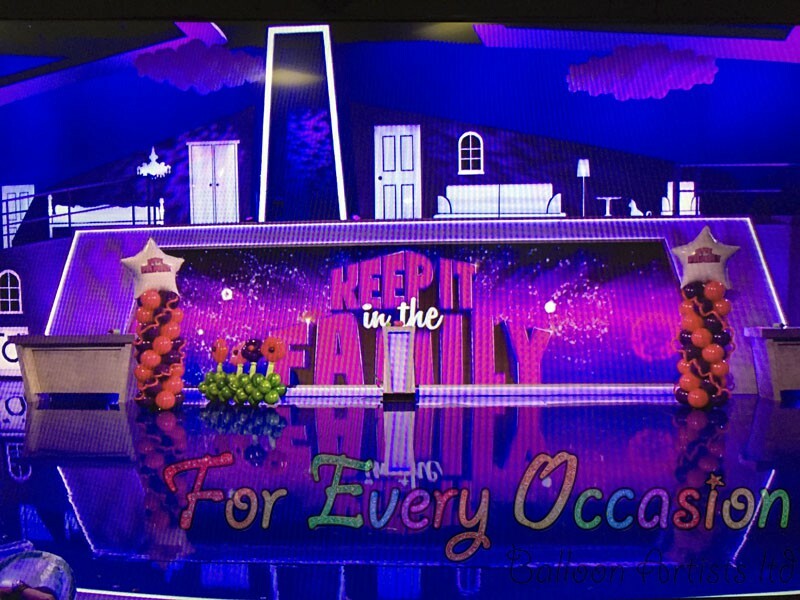 Back in September we were asked by ITV Studios to appear in a brand new Sunday night Prime Time Game Show hosted by Bradley Walsh. 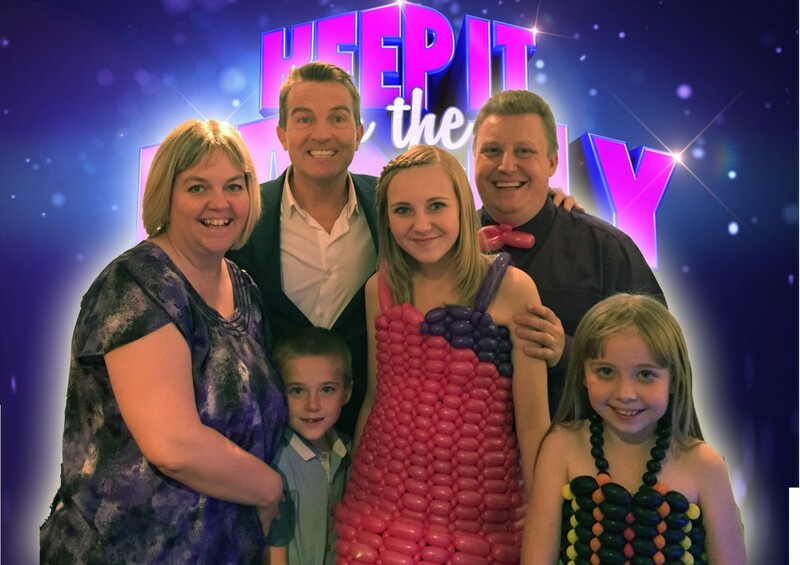 The show would see 2 families going head to head in a series of games to win prizes. This would also include dropping celebrities through trap doors. 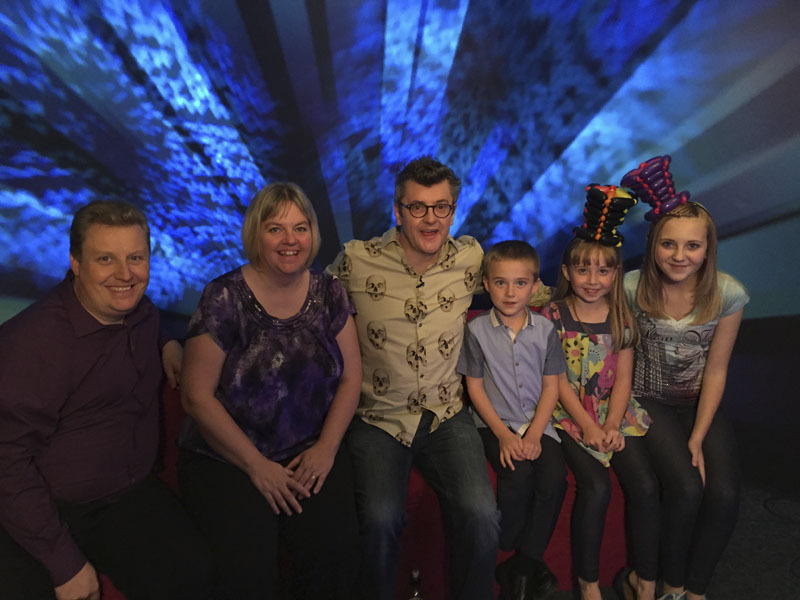 When we found out one of the celebrities was none other than Joe Pasquale – how could we refuse? The first game in each program was called Family Business and it would involve a task set by a family who work together in business for the teams to complete. Anyone who knows us knows that For Every Occasion is truly a family business and the kids are often to be found helping out in the shop (or hindering!). 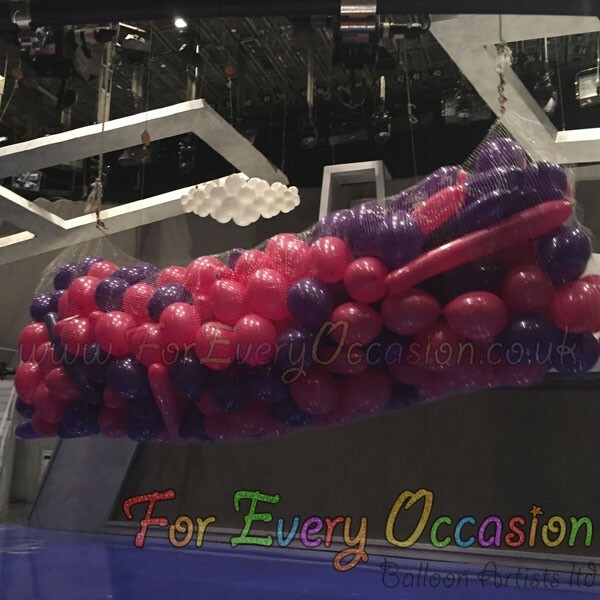 ITV wanted spectacular balloon decor that could be set and struck quickly for the program as it is filmed in order with a live audience. We had the brief, all we needed to do was create the wow factor. We travelled down to BBC Elstree Studios on the Thursday night to prepare for filming on Sunday. Also filming in the same building as us was Holby City and of course, Eastenders. Being a huge Holby City fan, Sara was beside herself when she saw some of the cast but not as exited as she was when she met Danny Dyer in the Bar though! 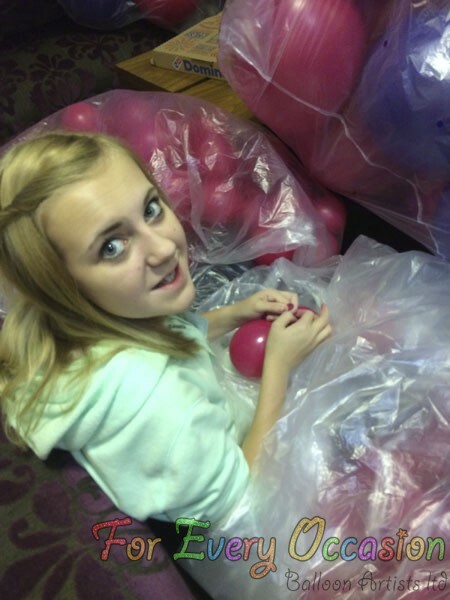 We had a room to work in at the back of the studio and we started to inflate. Hidden away in the Studio, behind the blacks, is the actual balcony used for Statler and Waldorf in the original Muppet Show Series. Although a grainy picture we loved the personalised pillars on the stage. 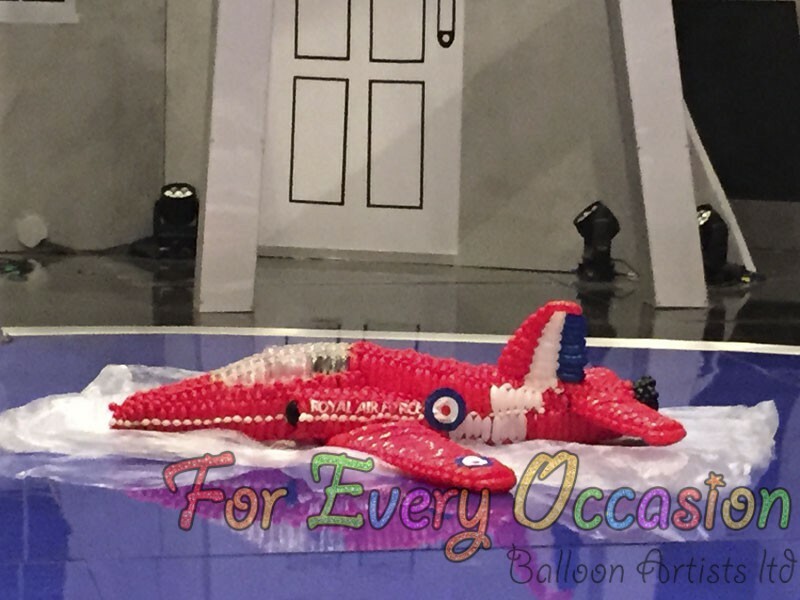 We re-created one of our award winning Red Arrow sculptures for the show. Our 15ft High Hot Air Balloon was one of the highlights. 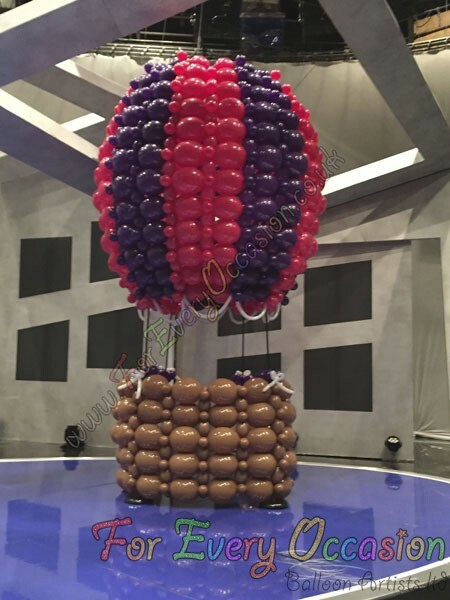 This is the balloon drop for the end of the game. 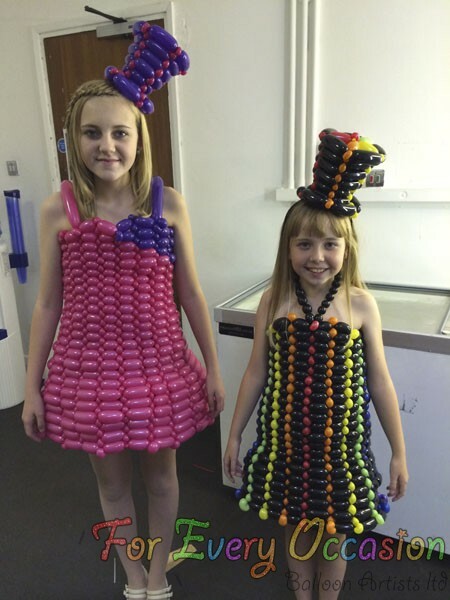 The biggest audience reaction though was when they saw Ellie and Amelia in their Balloon Dresses. 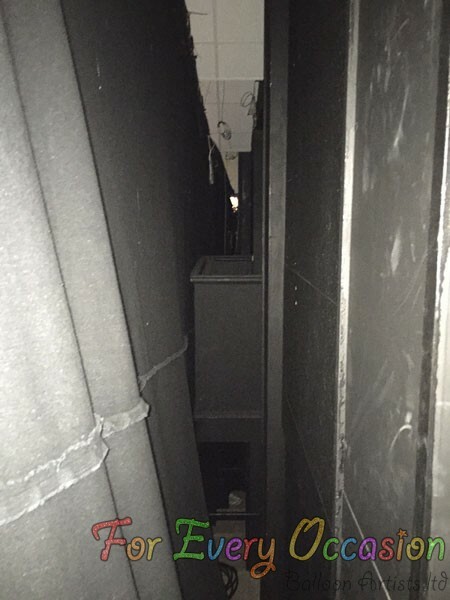 The gasps literally took our breath away and is one of those moments that you will never forget. The game consisted of Mike teaching 2 family members (the grandparents) how to make a Balloon Flower Head dress The finished results were very interesting to say the least! 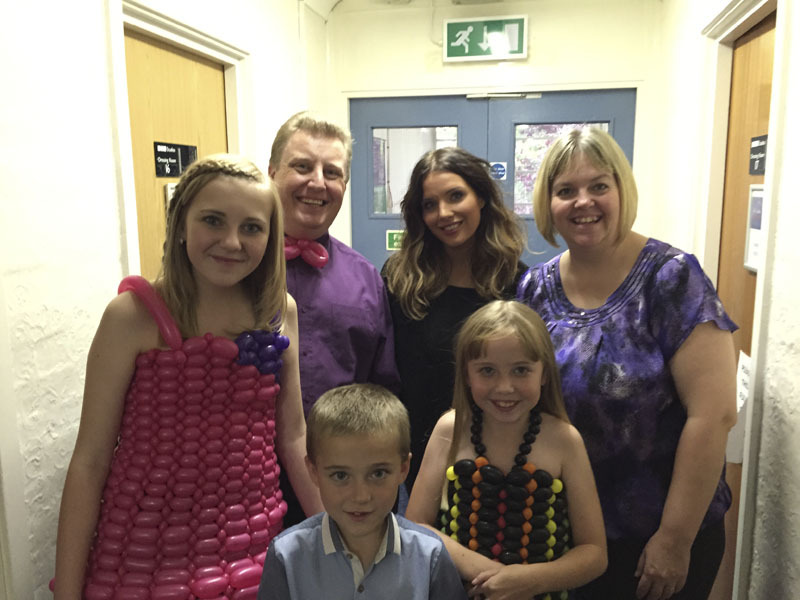 We also got to meet the celebrities on the show here are a couple of pictures of us with Joe Pasquale and Helen Flanagan. 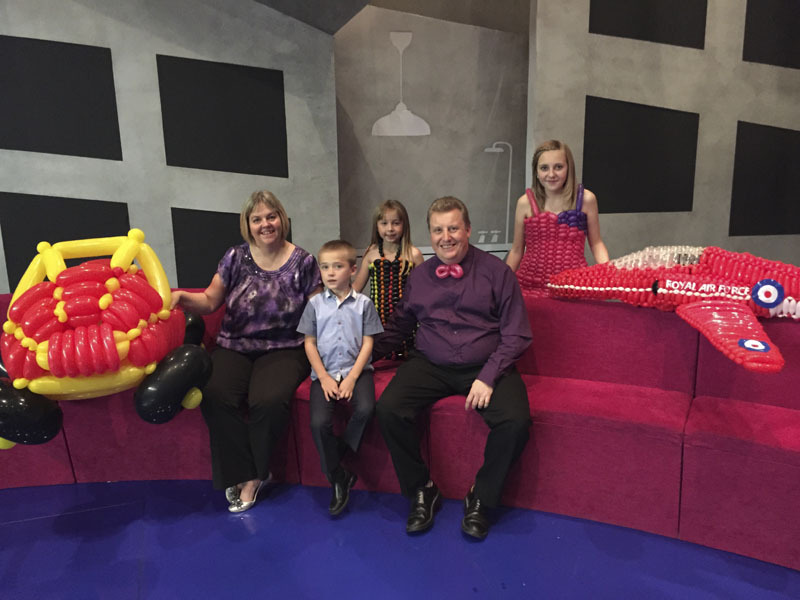 It took us all day Friday and most of Saturday to create all of the decor, the balloon dresses and car. By the end of filming on Sunday we were exhausted. It was a fantastic experience and one that we had as a family. I don’t think we will ever forget it. We were treated like royalty and the kids thought it was Christmas with free ice cream, crisps and pop on tap!